As generalizations of inverse semigroups, restriction semigroups and regular \(*\)-semigroups are investigated by many authors extensively in the literature. In particular, Lawson and Hollings have proved that the category of restriction semigroups together with prehomomorphisms (resp. (2,1,1)-homomorphisms) is isomorphic to the category of inductive categories together with ordered functors (resp. strongly ordered functors), which generalizes the well-known Ehresmann–Schein–Nambooripad theorem (ESN theorem for short) for inverse semigroups. On the other hand, Imaoka and Fujiwara have also obtained an ESN-type theorem for locally inverse regular \(*\)-semigroups. Recently, Jones generalized restriction semigroups and regular \(*\)-semigroups to P-restriction semigroups from a varietal perspective and considered the constructions of P-restriction semigroups by using Munn’s approach. 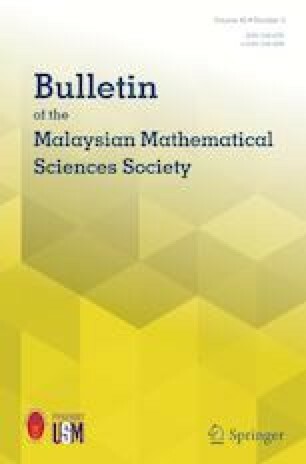 In this paper, we shall study the class of P-restriction semigroups by using “category approach.” We introduce the notion of inductive generalized categories over local semilattices by which a class of P-restriction semigroups called locally restriction P-restriction semigroups is described. Moreover, we show that the category of locally restriction P-restriction semigroups together with (2,1,1)-prehomomorphisms (resp. (2,1,1)-homomorphisms) is isomorphic to the category of inductive generalized categories over local semilattices together with preadmissible mappings (resp. admissible mappings). Our work may be regarded as extending the ESN-type theorems for restriction semigroups and locally inverse regular \(*\)-semigroups, respectively. Communicated by Kar Ping Shum. This paper is supported by Nature Science Foundations of China (11661082 and 11301470). The author expresses his profound gratitude to the referees for the valuable comments and suggestions, which not only enrich and improve greatly the content and presentation of this article, but also give the author some thoughts for future directions of work. In particular, the author revises Lemma 2.4 (2), adds Lemmas 2.7 and 2.11 and shortens the original proof of Lemma 2.12 according to the referees’ suggestions. As one of the referees has pointed out, Imaoka and Fujiwara gave an ESN-type theorem for locally inverse regular \(*\)-semigroups in the texts [17, 18]. According to the referee’s advices, we add a new section to state the results of Imaoka and Fujiwara and make some connections with our results. Thanks also go to the editor for the timely communications.